Large and complex projects can be very demanding, especially during the construction phase. For the design team, it requires us to focus on the details and to stay one step ahead of the contractors’ work. 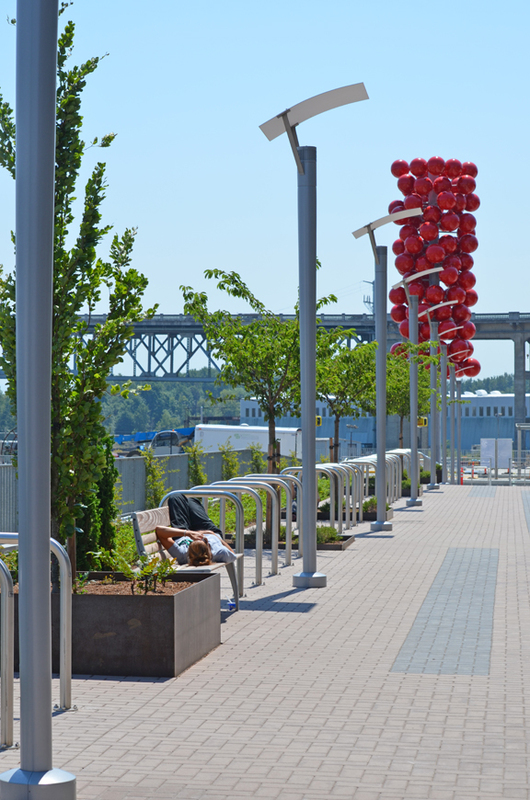 When the pavers are finally laid, trees are planted and the last bench and art piece have been installed, it’s time to pause, step back and revel in the completion. The opening celebration for the Collaborative Life Sciences Building and Skourtes Tower in the South Waterfront District is no exception. After over a year of managing the details of the site and landscape construction, it is inspiring to experience the results of the efforts of countless design consultants, university representatives and contractors working together to create this modern model of collaboration. 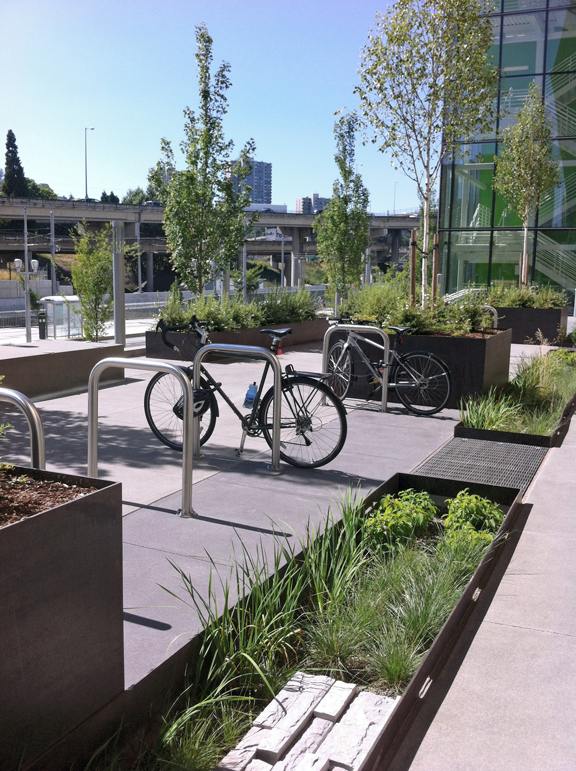 Mayer/Reed is proud to be one of those team members, having designed the public and private outdoor spaces including the east and west terraces and stepped landscape along SW Moody. Themes of transparency and interaction are apparent throughout the development. Multi-story glass atrium walls bring compelling outdoor views into the building. Indoor and outdoor spaces with open circulation and ample seating encourage spontaneous conversations. 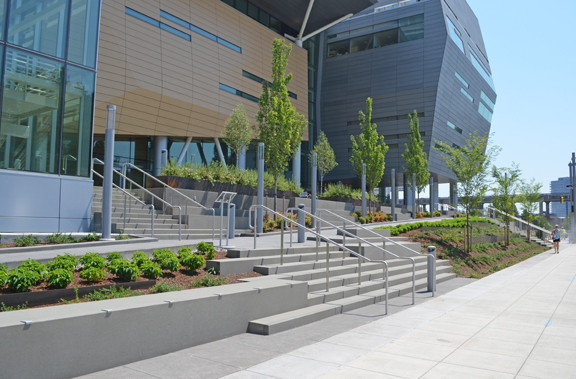 Stormwater from the building and site is visible as it is conveyed through a series of treatment planters. Soon, the CLSB will be buzzing with activity as students, faculty, researchers and staff move in over the summer. The bike racks will be full. Students will be perched on the concrete plinth seating, soaking in the sun on their breaks. Study groups will gather on the east terrace with fantastic views of the Willamette River, the new Tilikum Crossing Bridge and Mt. Hood in the distance. Let the next chapter of collaboration begin!